Perfect for the cold, dark, and reclusive days of winter, February offers a time to weigh and measure oneself; to be introspective and see where one is found wanting. What happened to the promises made at the beginning of the year, when you were eager to put the past in the past and start anew? Alas, January is now but a distant memory, its resolutions long forgotten for the weak-willed and soft-minded, the lazy and the gluttonous. At least that would be the conclusion the reader would draw after perusing As A Man Thinketh by James Allen, for it is that philosophy on which the essay is based, and the overall message I gleaned. Man’s thoughts determine his circumstances; good thoughts beget good results; bad thoughts, bad results. Of course, Mr. Allen gets much more involved in his explanations and examples. There’s a long story as to why I’m discussing his book instead of the one originally scheduled, but that will come in a later post. Suffice it to say, it was a rapid succession of vicissitudes which put this pamphlet in my path, and I’m so grateful it did. Over the past too-many-years-to-count, I’ve been on a journey of self-awareness and have read too-many-books-to-count in the spiritual, metaphysical, inspirational, self-help, and new thought categories—so many, in fact, I’m puking Chopra and crapping Tolle for goodness’ sake! It’s not as if my life was a train wreck, though. I’ve always felt it a good idea to practice mindfulness and delve into a better understanding of the human condition, and in turn, myself. My exploration into the thought processes which determine behavior was a result of my first real heartbreak over twenty-five years ago. Curled in a ball on the kitchen floor, phone in hand and sobbing to anyone who’d listen was not how I wanted to handle it. I think Melody Beattie’s Codependent No More was the first in a long line of self-hell spelunking into the caverns of my soul. Over the next couple of decades, my reading experience was similar: non-fiction personal exploration. It’s only recently I’ve dipped back into the realm of the unreal, but with Mom’s passing and the subsequent depression associated with grief, this booklet called out to me. I wanted to change my outlook toward the circumstances in which I felt trapped. I already knew how to unplug from the negative and into the positive (which I wrote about here), now to further implement that idea. Only by much searching and mining are gold and diamonds obtained, and man can find every truth connected with his being, if he will dig deep into the mine of his soul; and that he is the maker of his character, the moulder of his life, and the builder of his destiny, he may unerringly prove, if he will watch, control, and alter his thoughts, tracing their effects upon himself, upon others, and upon his life and circumstances, linking cause and effect by patient practice and investigation, and utilizing his every experience, even to the most trivial, everyday occurrence, as a means of obtaining that knowledge of himself which is Understanding, Wisdom, Power. Whew! That’s a mouthful. Since the author, James Allen was born in England, some of the words, such as pothouse and gaol, threw me and I had to look them up. And viands—who uses the word viands for food? But I digress…it’s a thought-provoking booklet, nevertheless, even with some of the British and archaic vernacular. Effect of Thought on Circumstances. “A man’s mind may be likened to a garden, which may be intelligently cultivated or allowed to run wild; but whether cultivated or neglected, it must and will, bring forth.” Seeds of good thoughts produce a blissful harvest; weed-seeds, nettles. Okay, so I’ve thrown out a few catchy quotes…big whoop. What’s it all mean? It means you should’ve had a taste tantalizing enough to run to the trough, because frankly, this tiny volume delves into the basic truths of positive thinking so deliciously you’ll relish every bite like the squealing, suckling-for-knowledge little piggie you are. And as of this writing, if you own a Kindle (or e-book, I think, but I’m not really sure how that works with Amazon) you can get As A Man Thinketh for FREE! Yes, you read that correctly. In my search for a cover picture, I went to Amazon and saw it was being offered au gratis—just follow this link. 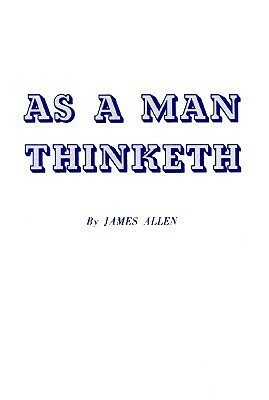 There are other versions for less than $1.00, and while there, I one-clicked As A Man Thinketh Deluxe Collection of Five Favorite James Allen Works [Annotated and Unabridged] for 99¢. I love a bargain! [As A Man Thinketh] is subjective rather than explanatory, its object being to stimulate men and women to the discovery and perception of the truth that—”They themselves are makers of themselves”—by virtue of the thoughts which they choose and encourage; that mind is the master weaver, both of the inner garment of character and the outer garment of circumstance, and that, as they may have hitherto woven ignorance and pain they may now weave in enlightenment and happiness. For a variety of other reviews and thoughts from our members, click the frog’s head below for the link list. The selections are as diverse and exciting as their readers! And as always, we are open every month to new participants. For more information, go to the Progressive Book Club Guidelines in the tabs at the top of the page. The Progressive Book Club meets the third Wednesday of each month. If you’d like to know more, click on the badge to link to the guidelines. Any book is welcome, and we’d love to have you—the more participants and titles, the greater the likelihood one will resonate with our readers. Hope to see you next month! ML Swift is a writer of Middle Grade, Young Adult, and Adult fiction, although he dabbles in many genres. An Alzheimer’s caregiver for the past ten years, he has published several articles on The Alzheimer’s Reading Room, the largest online website catering to that community, and plans to write a novel about his experience in caregiving. He resides in Florida with his dogs, Rameses and Buster, attempting to reclaim his side of the bed. When our thoughts just drift, they tend to go into negative areas. I don’t believe I’ve ever read it. Will prepare myself for the challenging prose. You know Liz, I hurried to get this little pamphlet read. It’s only 67 pages, size about 3×5. I gave away my other book and had to order again, this one was at the bookstore and I’m so glad it found its way into my hands. I love writing like this and many times (although I’m guilty of it myself) think we’ve strayed too far from it. We write too casually. 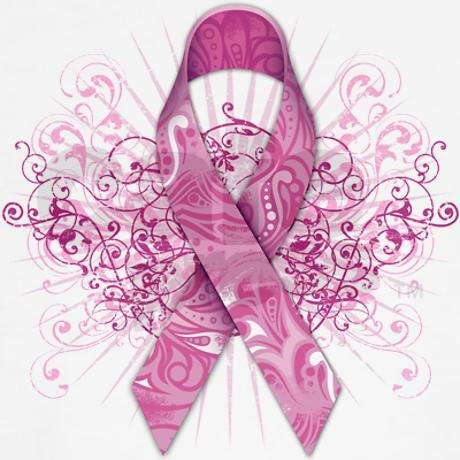 Its a style that needs to be revisited time and again to keep us on our toes. Plus, the run-on sentences are structurally sound and allow for breathing and thought along the way. They many times require re-reading to gain full understanding, thus driving home the message. I have got to revisit Woolf…it’s been awhile. She writes in a stream of consciousness type of style. Mike, I love books like this that bring me to a higher level of thinking and self-evaluation. Even if it’s things I “know”, it’s as you said, I need a little reminder to put them, once again (or for the first time, perhaps) into action. Thanks for the recommendation. By the way, absolutely love the look of your blog– very clean and professional. And just beam with pride to see the Composers for Relief book on the sidebar. 🙂 Very well done. I looked at this blog design when coming over to WP…almost decided on it then, but the other theme had the oranges, which was a smoother transition from my yellow-orange look at Blogger. The need for a change in blog direction (albeit still about writing to some degree, but more about a writer’s life) was a good reason to go to a cooler color and more professional design. It’s growth, you know what I mean? Loved this booklet. Small, but one that will forever be on my shelf. I may even get a more deluxe copy. Hardcover. Yes, much of this information was lurking in my mind, but he drove it home in a different light, and repetitively! There was a great deal of rehashing of the same idea. Makes a great reference when you get in a funk. And although never stated, very Christian philosophies. Get your free copy! It’s funny, when I’m in the section a book like this might be found in, I have one heuristic: is it thin? Books on such topics need to be thin because if they’re not, you just know the author could have used an editor. The most useful concepts in this arena are straightforward and shaved of excess. Thank you for the recommendation, Mike. I did like the snippet you provided for number 6. It’s probably about as thin as they get, and pocket size. Only 67 pages, and sometimes one sentence took up the whole page. You’d finish it in a matter of minutes, but it’s so thought-provoking, it causes you to pause and ponder. Do I agree? Disagree? And it probably could’ve used some shaving, but by wordy 1902 standards, it wasn’t as blow-hard as some of them can get. There was much repetition, but it was because it was about how thought affected each of these areas. Thought processes was always the common denominator. It really is a good read. And that whole chapter on Visions and Ideals—wonderful. Not sure I completely agree about aimlessness (though I get what he’s saying, and certainly giving free-rein to the mind at bed-time is a recipe for fretting rather than sleeping), but it seems like a good way to help one just be more self-aware. But tell me: is “self-hell spelunking” a typo or a brilliant turn of phrase??! Of course, he goes on to expound upon this theory, saying, “To put away aimlessness and weakness, and to begin to think with purpose, is to enter the ranks of those strong ones who only recognize failure as one of the pathways to attainment; who make all conditions serve them, and who think strongly, attempt fearlessly, and accomplish masterfully.” And that’s just one sentence of explanation. He continues to say doubt and fear must be crushed; if allowed to continue, they break up the straight line of effort and make it crooked and ineffective. Focus. It’s funny you say that about that aisle. . . I had to stop shelving library books in the parenting section because the titles alone convinced me I am probably the world’s crappiest parent. I’m pretty sure I’m far from the best, but I haven’t, you know, abandoned my kids at a gas station or locked them in a closet or anything. I mean, that bit about putting the teens in a barrel and feeding them through the bung-hole until they’re 21 is a JOKE! Sounds like a wonderful read. I like to be more mindful. It was a lot of work to get myself to a more positive head space. And as this book suggests, practice strengthening those weaknesses until they are strengths. It truly is a great deal of effort. Thanks, Mary. I love the thoughts and the challenge of being introspective. I tried it once in college and found that it was hard work. After two minutes, I was exhausted and went back to Yo, MTV Raps. I really appreciate the effort you put into you-self discovery. Although I tell jokes about it, it is hugely important. I had my time of self-discovery living in a tent once with the book, The Purpose Driven Life by Rick Warren. I think Mr. Warren put pictures in his book so I could understand it better. Life is hard…understanding it, impossible! I have that book on my shelf, too. We went through it in my Sunday School class. The pictureless, wordy one. Anyhoo, of course I’m on (and have been on for quite some years) a journey of personal development. Not to mention all you had to say was the word “FREE” and the one-click wonders of Amazon have prevailed. It’s now downloaded to my Kindle. Yippeeeeeee (my squealing, suckling pig imitation). I look forward to reading it. I’m glad you got it! FREE…can’t beat that. Chew on each sentence—they take some thought, at least for me. I like to digest fully before moving to the next course. Well, you got the metaphor, which is all that mattered. 😉 I like their views, too. Thanks for coming by. That’s one of my mom’s favorite books. She made me read it back in seventh grade. I didn’t appreciate it then, at least not outwardly, but it had an impact, and I held onto many of the truths in it. Great little book. Ooo…I don’t know if I would—or could—have appreciated it back in the seventh grade, Tyrean. It probably would have had an impact, though, as you said…there’s still some great literature I read back then that has stuck with me and read over and over again. Self-help books are only good if you make the investment in practicing what the books recommend. I dated a woman who was a serial collector of self-help books. She’d refer to these books in her bookshelves periodically, and then wonder aloud why her life was such a shambles. I wondered aloud why I was dating her. Anyway…I’m curious to read this. Written in 1902, you say? Interesting. I’m curious to glean what James Allen would make of the human condition, especially from a man’s perspective, at the dawn of the 20th century. LOL about the lady. Yes, I’ve dated a few of those myself…addicted to recovery is what I call them, but never recovering from anything. I usually read these at the suggestion of friends (or because the blurb interests me). I’ve always been a rather new age thinker, trying to mesh science and my spiritual beliefs and such, opening the mind to possibilities, seeing what the common denominators are and figuring out what makes sense to me and how I can best apply that to my life. I toss the rest. I’m always on an “onward and upward” path…although sometimes trudging very slowly. Allen’s thinking is timeless, in my opinion. I was blessed with a simple mind. I have always believed you are what you think, that your thoughts lead you. Beyond that, I don’t give much thought to the why’s of life and questions of the universe. All those things fall under the “it is what it is” category and nothing I can do to alter them. All I can do is be the best me I can be. One of my favorite mantras is to “keep it simple, stupid.” Give yourself a big kiss. Simple is the best way, and being the best us is all we can be. Thanks, Elizabeth. This sounds like my kind of book. Maybe I would struggle a bit more with the English than with the philosophy in there but seems worth to try. It’s more his verbosity than anything…the sentences are so long at times, you end up saying, “Huh? Let me go back and read that and break it up into parts!” Get it for free while the gettin’s good. We do need to slow down our fast-paced lives and tend to our gardens of thought more. I know that, if I allow myself to focus on it, an otherwise minor irritation can become a full-blown rant, but if I tend to a more positive line of thinking, my day’s not ruined and all is well. So good to see you, Morgan. I don’t know if it’s in the plans that any of us figure it out until that final destination, wherever that may be…but during our time spent here, the lesson is in the journey, and boy, it’s been a doozy. A pure-tee banquet. I’ll have to read this in one of my more philosophical moods… winter is coming. Yes, it made a for a pensive read on a gray and chilly day…perfect fodder for that kind of weather. My good sir, I thank you kindly for your most thoughtful comment on my site. Your link in your comment made it easier to come directly to this posting. Although, I do have email notifications every time you post. I greatly appreciate this and am noting much of what’s been stated. Indeed, it would be read to reinforce my own embracing of positive possibilities. What you probably don’t realise is that I’ve done a whole series on my site in regards to positivity, self esteem and distancing yourself from all that is detrimental to your well being. I try to live my life with realistic, positive anticipation, rather than negative speculation. Be well and thank you for this. I can read this! It’s not always about how much content something has, but what the content can offer! The quicker read the better for me. Although I will say that my tbr pile is heavy with books like these. Self Improvement can never quit. I am in one right now that is about the brain and how we can train it and what things can affect to where it’s not plugging away at full capacity. It’s by David Silverstein and it’s called Become an Elite Mental Athlete. It’s been really a great read I recommend it, his site has the info, davesdots.com. It’s amazing how the brain can be affected by the smallest of things we don’t really even realize. Sorry it took awhile to get to you…sort of lost you in the comments and had to find you in “pending.” The book you suggest sounds good, and I’ll have to check out his website. Thanks for coming by!